St Albans City fans will be setting out on the road to Wembley on Sunday 22nd July with Prostate Cancer UK unveiling an even bigger and better March for Men walking programme as they make further strides to stop prostate cancer being a killer. 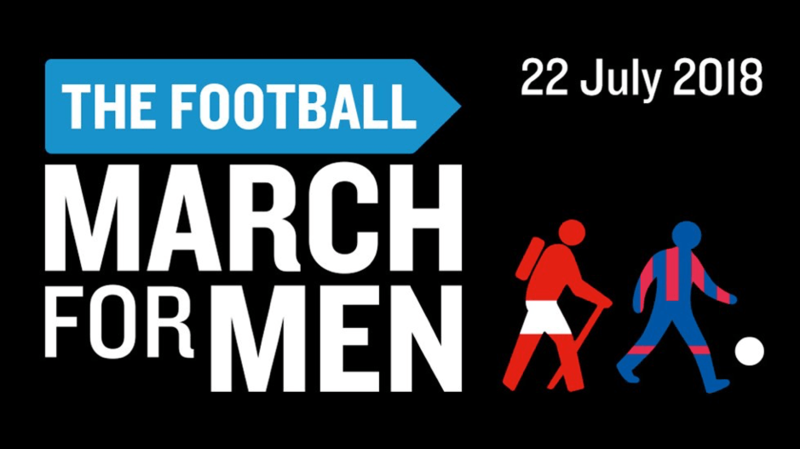 The Football March for Men will see legions of walkers setting off on the road to Wembley, starting out from St Albans City, Millwall, West Ham United and Sutton United, and heading to the home of English football. The March to the Arch will take in 15 clubs and create a fabulous finale. Our ground, Clarence Park, home of the Mighty Saints, is one of four starting points on the day with walkers heading to Watford and Barnet before the final stretch to HA9. Already 50+ walkers have signed up for the St Albans to Wembley March.